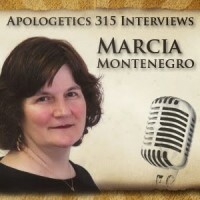 We support Marcia Montenegro and her growing ministry, Christian Answers for the New Age. The CANA website and facebook page are frequently visited sites for truth and answers to topics of today’s culture. Marcia is a frequent guest at conferences and on radio shows. As a former professional astrologer, Marcia was deeply involved in paranormal New Age practices. Compelled by the intense love of Jesus, she gave up occult practices and turned to Jesus Christ as her Lord and Savior. Because of Marcia’s background, she understands the appeal and dangers of the paranormal and now lectures on these topics around the country and on the radio. CANA is a ministry responding to alternative religions: to inform and educate others about New Age and occult beliefs; to respond to those involved in New Age/ occult/ Eastern belief systems with the love and truth of Christ (I Peter 3:15-16); and to serve as a resource on aspects of New Age/ occult thinking and practices such as astrology, psychic powers, meditation, witchcraft/ Wicca, alternative healing, magick, etc.